In honour of pancake tuesday, I have made my Island Pancakes. 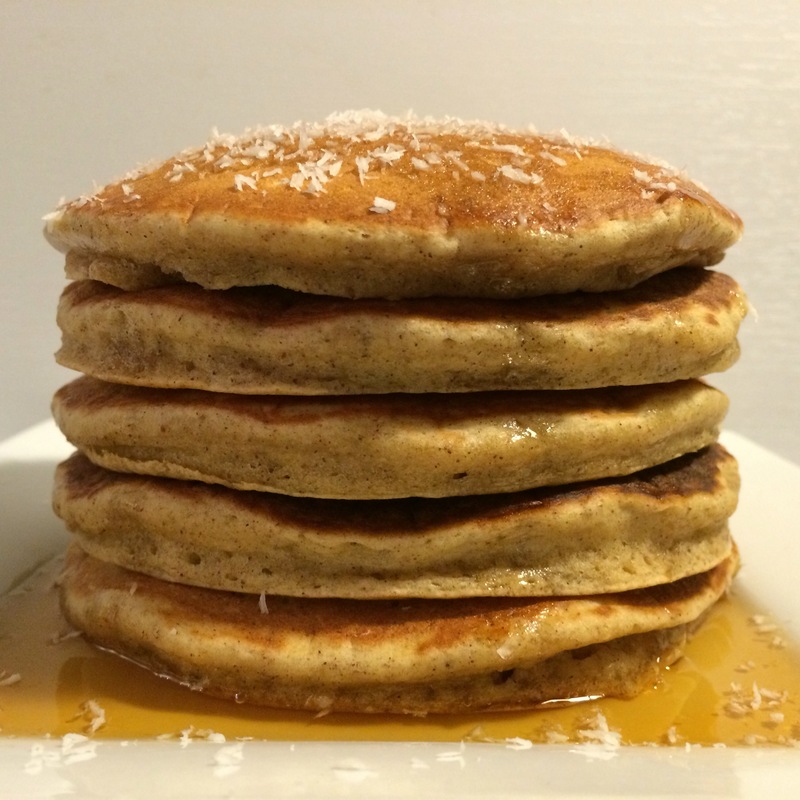 These soft, fluffy, banana pancakes have warm spices and a hint of coconut. In a blender, add the milk, bananas, coconut oil, vanilla, and egg. Blend into a liquid. In a bowl, add dry ingredients. Mix together with a whisk to get rid of any lumps. Add wet ingredients to the dry mix. Mix well. In a frying pan on medium-low heat add a bit of butter to grease the pan. With a 1/3 cup measure spoon batter into the pan. Once bubbles appear flip over. Finish with maple syrup and coconut to garnish. I use pancake mix because it’s quick and easy. My favourite is the PC Organics brand. Make sure when buying a pancake mix it’s not the “just add water” one. I go organic when I can, but it’s not mandatory for this recipe. With that being said, when I’m using something processed like pancake mix, I use organic because other brands put too many additives into the products.